Fly cruises from Manchester offer a great way to enjoy cruises around the world, without having to drive to a London airport. 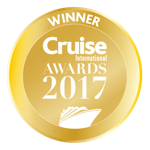 With holidays on offer around the globe, a fly cruise from Manchester offers a more convenient choice of airport to many cruisers in the UK. Whether enjoying a short hop from Manchester to Copenhagen for the fjords, Barcelona or Venice for the Med or Amsterdam for Northern Europe, the convenience is easy to see. You can also enjoy fly cruises from Manchester to the Caribbean, Alaska and other further a field destinations, though these don't always offer direct flights. Sometimes you may have a short from to Heathrow followed by a direct flight, other times you may change airports further a field. With regional flights becoming more and more popular for cruisers it's easy to see why fly cruises from Manchester are such a great option, especially with the variety of destinations on offer from the airport. So, wherever you want to cruise and whoever you would like to cruise with, always check to see if a Manchester fly cruise is an option before booking a holiday with a long drive to London.